ARTICLE 19 condemns the Cambodian government’s crackdown on freedom of expression and other political rights in the run-up to a general election held on 29 July 2018. The sham election marks another alarming step in Cambodia’s descent into dictatorship. ARTICLE 19 urges the international community to take decisive action to push the Cambodian government to restore fundamental rights and freedoms. 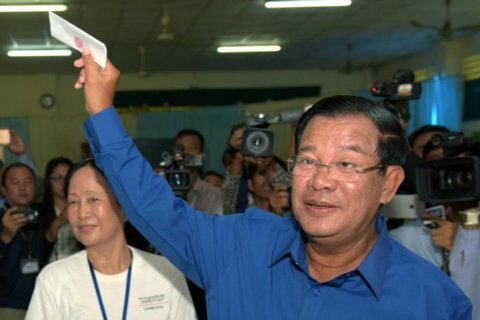 The Cambodia People’s Party (CPP), led by incumbent Prime Minister Hun Sen, declared victory in the 29 July polls, claiming 77.5 percent of the vote and all 125 parliamentary seats. The country’s major opposition party, the Cambodia National Rescue Party (CNRP), was dissolved in November 2017 and did not participate in the election. Its leader, Kem Sokha, was arrested in September 2017 and remains in prison. He faces charges of treason under Article 443 of the Penal Code. Strong showings by the CNRP in a general election in 2013 and communal election in 2017 signalled a possible electoral challenge to Hun Sen’s decades-long rule in the 2018 elections. However, in the wake of the CNRP’s dissolution, scores of activists and lawmakers fled the country, resulting in an election being held without a credible political opposition. The small parties that contested the election lacked the name recognition and legitimacy to credibly challenge the CPP, and many voters demonstrated their frustration at the undemocratic nature of the polls by spoiling their ballots. In a joint submission to the Human Right Council in advance of Cambodia’s Universal Periodic Review (UPR) in January 2019, ARTICLE 19 and PEN America highlighted the litany of attacks on press freedom, activism and political participation by Hun Sen’s government since Cambodia’s previous review. The government has applied a repressive Law on Associations and Non-Governmental Organizations (LANGO) to dissolve, suspend and harass domestic and foreign NGOs. Independent newspapers and radio stations have been shuttered or co-opted. A number of environmental human rights defenders have been imprisoned for their peaceful human rights activism, including well-known activist Tep Vanny, who remains in prison. The killing of human rights defender Kem Ley in 2016 has not been fully and credibly investigated, and other activists face threats and attacks because of their defence of human rights. In the weeks leading up to the election, these patterns of repression continued. As Cambodians went to the polls, the government blocked access to a number of independent media websites. The government also sought to suppress an election boycott movement, labelling Cambodians who did not participate as “traitors” and disseminating vague threats to non-participants through local officials. ARTICLE 19 calls on the Cambodian government to end its crackdown on human rights and halt its attacks on democratic norms, including by restoring the rights of opposition political parties, civil society and independent media. ARTICLE 19 moreover urges the international community to use all available means to ensure that Cambodia fulfils its obligations under international human rights law. “Hun Sen himself underscored the illegitimacy of the election through his efforts to stifle dissenting voices and crack down on political rights in the months preceding the vote. Polls held without a credible opposition or independent media coverage can hardly be called democratic,” said Matthew Bugher, ARTICLE 19’s Head of Asia Programme. “Hun Sen’s claims that the election has provided him a democratic mandate shouldn’t fool anyone given the marked deterioration in freedom of expression, association and assembly in the past year. The international community must wake up to the deliberate dismantling of democracy in Cambodia and act decisively to protect Cambodians’ human rights,” added Bugher. 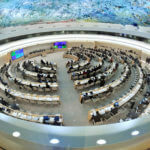 HRC39: What’s at stake for freedom of expression?